COLOR: Color schemes are discussed, including selection of paint color, cut off points, color flow from room to room, accent walls and which walls need to be finished and any other type of wall surfacing you may need. FLOOR PLANS: Deciding where and how to place furniture and artwork is the key to an eye-pleasing room. We also identify which accessory pieces will remain and, if possible, new pieces needing purchase. LIGHTING: Light design plays an important role in the overall master plan. Emphasis is placed on balanced lighting so the entire room is properly lit, highlighting display furnishings, artwork and other elements in a room. WINDOW TREATMENTS: There are so many choices for window treatments today. 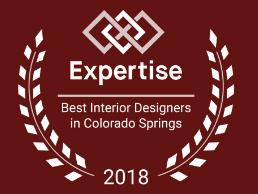 Lifestyle Designs can show clients the correct fabric to select for any style treatment, along with interesting rods, finials and rodding systems. By having a well orchestrated plan, your home will evolve into the dream you’ve always envisioned. Imagine eliminating the frustration of shopping all over town, trying to find the perfect furnishings and fabrics. Now you can relax and enjoy the decorating process within the comfort of your own home. By shopping at home, you can view the products in your own surroundings, assuring you will be satisfied with the finished project, and without all the hassle. Contact me for some helpful tips to prepare your home for sale. Remember that you are selling your home, not your things. Master plans for your entire home, with ideas on how to sequence the project over an affordable time-frame. Planning for lighting is one of the most overlooked features in a home. Selecting paint colors–even while your home is under construction! Choosing upgrades and finishes during your buying experience. Selecting and placing accessories; finding and hanging artwork. Planning a seamless flow from one room to the next. Shopping for you, or with you, to get all the right items. Lifestyle Designs specializes in interior redesign, the art of placement. This technique creates a warmer and more inviting home by utilizing items the homeowner already owns, in lieu of making new purchases. This may include placement of furnishings, artwork, accessories and lighting. By using primarily what you already own, you can get the look and feel of a newly decorated home, at an affordable price! Accessories are the key to bringing life and meaning to a space. They are an extension of our personal lives. Lifestyle Designs can help you put the finishing touches on coffee tables, end tables, bookcases, mantles and unexpected places. Buyers only know what they see, not the way it’s going to be! Staging your home makes your home look brighter, bigger, cleaner, warmer, cozier and best of all it makes your home highly desirable and stands out in the marketplace.